Welcome to another installment of Humor Me Friday. 1. It’s Friday which means we’re super busy around here. 2. It’s Friday which means my brain is already stopping for the weekend. It’s finals week. This is my face. The whole week. I’m pretty sure it’s going to get stuck like that. And you thought it was just a cat thing…. 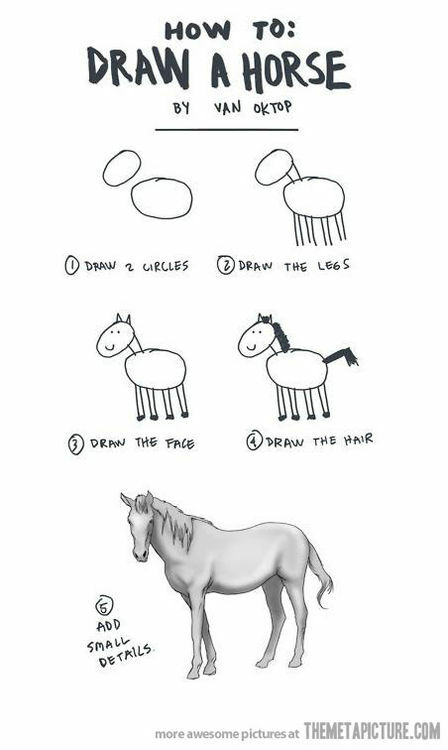 I could never understand drawing tutorials. Never. It’s like a special language only those with drawing talent understand. I'm so feeling you on the drawing tutorials thing! 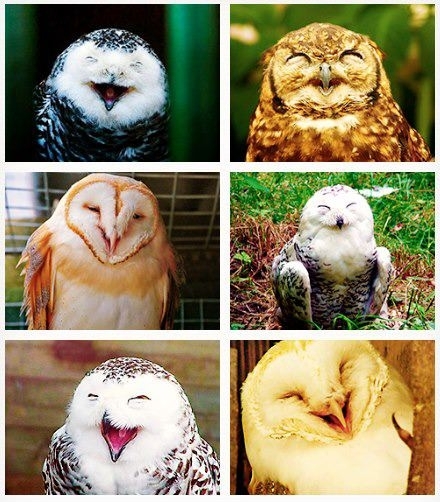 You made me smile with these. Funny with the boys in the boxes! The kids and cats love the boxes the gifts come in! Shared these with my husband. Love the box beds and had a good laugh at the horse drawing! Hehe. .. 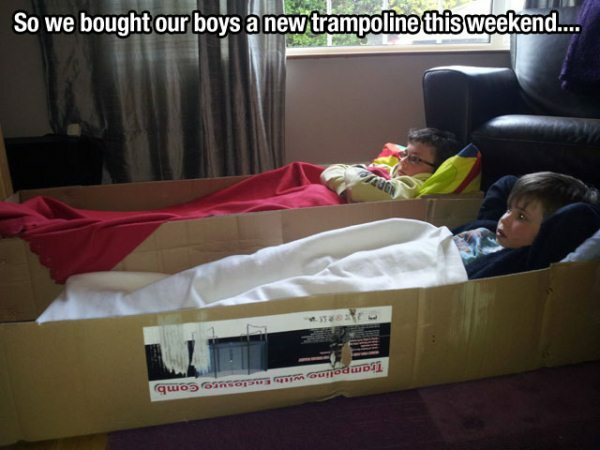 I love the trampoline box one.. Looks like something that would happen here at home.. Very cute post! Thanks a bunch for registering at Teenage Blogger Central. I will get around to featuring you in 2/3 days, whenever I have some time to spare. Thanks again! I like your Friday reasons! Those guys are adorable in the box too! Now following via GFC. 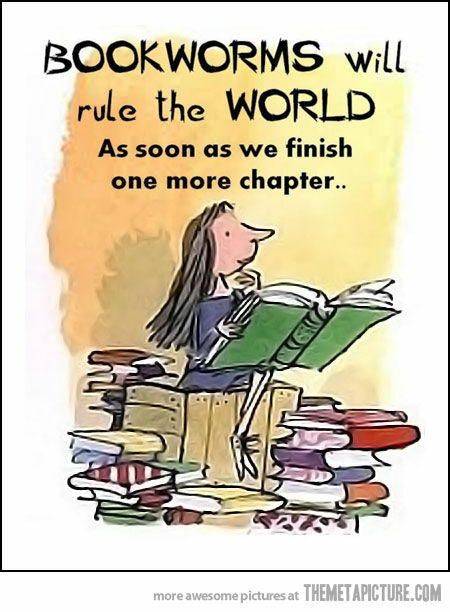 Enjoy the rest of the weekend! Happy Friday to you, Larissa! 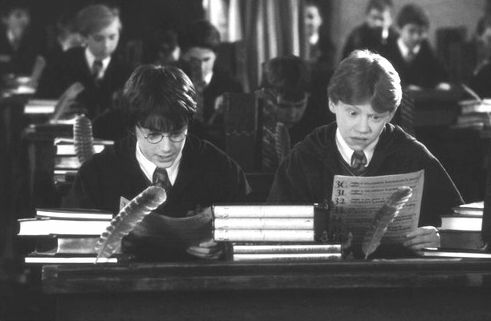 I am way more in love with Ron Weasley than any respectable adult woman should be. Thank you so much for that glorious picture and all of the other funnies. Rest your brain, dearie, it will come back stronger than ever.